Marin Ellis is in search of a new start after her father and his second wife die in a car accident, and at thirty-seven she is made guardian of her fifteen-year-old half-sister Rebecca. They leave Hampshire for the picturesque village of Goswell on the Cumbrian coast, and settle into Bower House on the edge of the village church property. 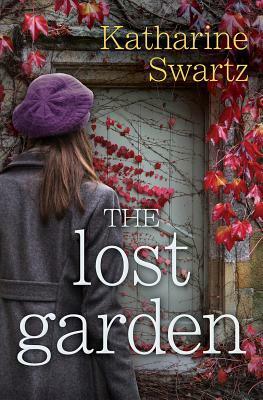 When a door to a walled garden captures Rebecca’s interest, Marin becomes determined to open it and discover what is hidden beneath the bramble inside. She enlists the help of local gardener Joss Fowler, and together the three of them begin to uncover the garden’s secrets. In 1919, nineteen-year-old Eleanor Sanderson, daughter of Goswell’s vicar, is grieving the loss of her beloved brother Walter, who was killed just days before the Armistice was signed. Eleanor retreats into herself and her father starts to notice how unhappy she is. As spring arrives, he decides to hire someone to make a garden for Eleanor, and draw her out of - or at least distract her from - her grief and sorrow. Jack Taylor is in his early twenties, a Yorkshire man who has been doing odd jobs in the village, and when Eleanor’s father hires him to work on the vicarage gardens, a surprising - and unsuitable - friendship unfolds. It's been a long time since I've read a book that had me in tears more than once. There's just something about the author's writing style that tugged hard at my heart strings. I felt as if both Marin and Eleanor could have been my sisters, best friends, or even that they represented parts of myself. Both strong women whose lives had handed them hard times, still, they kept moving and I won't ruin the book for you, but just trust me when I say that once you get this book and open the front cover, you won't want to stop reading until you close the back cover. This is one book that will never be leaving my shelves to go onto the library free shelves. I somehow know that I will come back to this book time and time again, reliving those moments, purging those bottled up tears, and smiling at the sweet moments. If you're looking for a book that will make you feel in all of the ways you can feel, The Lost Garden is one that you should be picking up. You're not going to regret it.